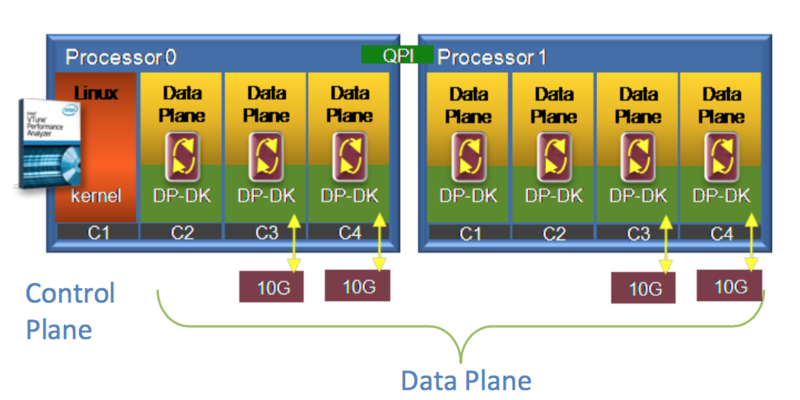 DPDK is a set of software libraries and hardware optimizations to improve packet processing performance. From a 2013 presentation, Intel® has stated that a single Intel® processor is now capable of achieving over 80Mpps. Intel® have also detailed enhancements in encryption, cryptographic computation, and compression – all areas that network virtualization can benefit from. Intel® recognize that all their processor architectures can benefit from packet processing optimization so DPDK is not limited to x86.